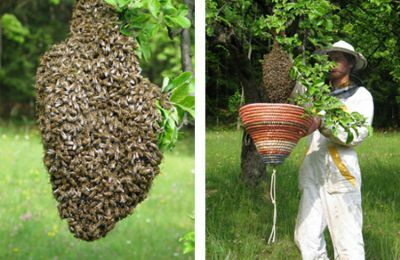 Warnings are growing about the future of the world's bees. 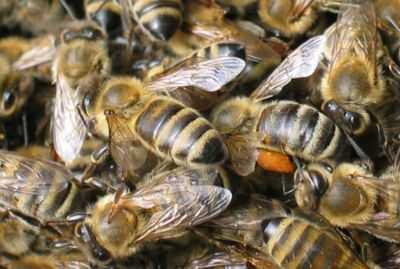 The British Beekeepers' Association say that last winter no less than one in three of the UK's honey bee colonies was lost. The implications are severe. 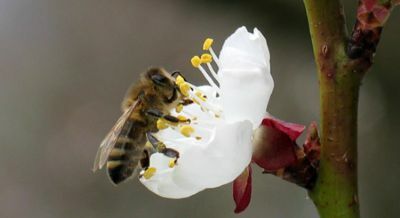 One-third of the food we eat depends on pollination by bees. To raise awareness of the situation, the British Science Association (formerly the BA) is running a 'Save Our Bees' campaign. It'll take place in the lead-up to National Science and Engineering Week (6-15 March). The campaign is being run with support from the British Beekeeping Association, and sponsorship by Rowse Honey. The aim of the campaign is to get as many people as possible planting bee-friendly plants across the country – and learning a little about bees at the same time. To take part, go to the campaign website and register. You'll receive free packs of sunflower and wild flower seeds, and a free education pack tailored for Key Stages 1, 2 and 3. The skills of the bee are simply extraordinary. She learns where to find food, remembers it, and dances the details to her coworkers. As she flies to flowers in the field, she notes the directiion relative to the sun. Back at the hive, she dances on the vertical combs. Part of the dance involves a waggling motion of her abdomen – and for this she moves in a fixed direction in relation to the vertical. The angle to the vertical of this direction is the same as the angle to the sun of the flight path to the flowers. 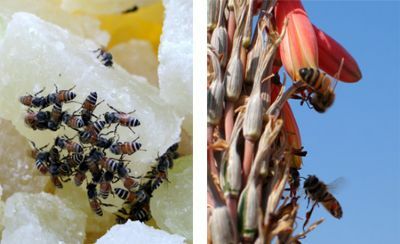 'If the food is at 35 degrees to the right of the sun, then the dance is performed with the waggle run at 35 degrees to the right of vertical, and so forth,' says P. Kirk Visscher of the University of California at Riverside in a review article. A Scientific American article by Wolfgang H. Kirchner and William F. Towne describes what happens. More than 2300 years ago, Aristotle realised that bees were communicating about the source of food. The discovery about the bee dance was made in the 1940s by Karl von Frisch. He also found that the rate at which the bee goes round the loop shows the distance of the food. 'The closer the food, the more frenzied her pace,' observe Kirchner and Towne. They went on to show that the communication also involves sound – low-frequency sound from the beating of tiny wings. This low-frequency sound is picked up by other bees in an organ in their antennae. The organ is in both antennae, and so they can locate the source of the sound, and so follow the movements of the dancer. They in turn send sounds back, and when she receives them, she gives them samples of the food she has collected.